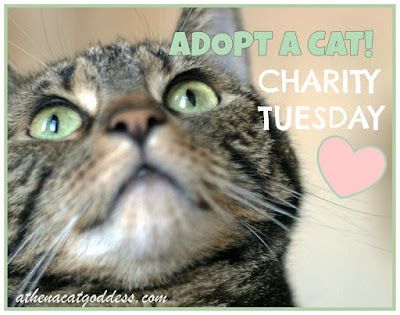 Athena Cat Goddess Wise Kitty: #CharityTuesday Buddy & Maki are waiting to be adopted! #CharityTuesday Buddy & Maki are waiting to be adopted! Buddy ended up at Wood Green the Animals Charity in London as a stray. The person who found and fed him, unfortunately, could not keep him so now he is longing for a new loving forever home. 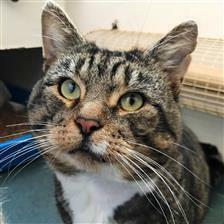 Due to his special rehoming requirements, he needs a rural home or an enclosed garden. If you are interested in adopting him please check out his profile here! Maki and her siblings were picked up from one of the main colonies by a volunteer. These sweet babies were just so young to be on their own and were very weak, thin and sickly. The first week it was touch and go, however over the weeks they started to grow and become lively, healthy little fun-loving. kitties. Beautiful Maki is an affectionate, playful and loving little girl now ready for a home to call her own! 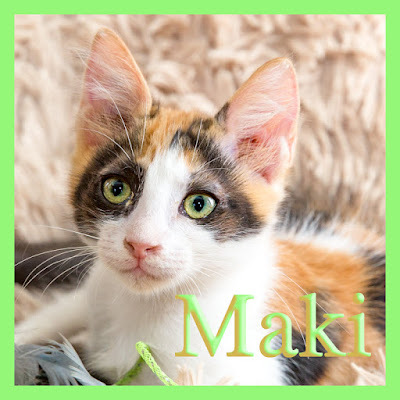 If you are interested in adopting a kitty from Cyprus please check out Maki's profile at Friends of Larnaca Cats to find out more! My human is in love with Maki! Darlings. I wish like anything that I could have you. And everyone else in there. We love Buddy and Maki. And we just shared them!